How to Protect Yourself from the Equifax Hack! How to Protect Yourself from the Equifax® Hack! Equifax® dropped the ball. You need to shore up your defenses. Another major U.S. corporation has been hacked, and the people who will likely suffer the most are the everyday American consumers. Hackers broke into Equifax's network sometime in the Spring of 2017 and quietly stole consumer credit records. It's shocking how many accounts were stolen. At least 143 million records of American credit consumers. Anyone who has credit, uses credit and applies for credit was potentially affected. The hack is being called one of the largest and most serious data breaches ever. Let that number sink in—143 million. That's approximately half of all adult Americans. Not only that, one report said "Equifax maintains credit reports on more than 200 million people." Do the math: that's 70% of their database! The hackers got everything they wanted. The hackers, who still haven't been identified (as of October 1, 2017) broke into systems at Equifax that had the juiciest pieces of customer data, as far as hackers are concerned. With sensitive data like this, what kind of damage could a hacker do? It's scary to think about your private information being stolen by hackers. It's even scarier to think what they can do with it. Here are two scenarios... A hacker can take over some of your accounts or they might try to assume your identity completely. In an account takeover, hackers use the stolen data to break into select accounts. For instance, they might try to persuade your bank or credit card company to transfer money, send money or reveal PIN numbers. An identity takeover takes it a major step further. Hackers will attempt to open new accounts in your name, secure huge loans and perhaps even assume your identity for criminal activity. They might even order new (fake) identification in your name, with their pictures. This is a nightmare scenario—[multiple] pieces of information in one place. From a business standpoint, the hack has potential to have a long-term, damaging effect on banks, credit card companies, and retailers as hackers use stolen credit accounts to buy expensive goods—with no intention of paying it back. 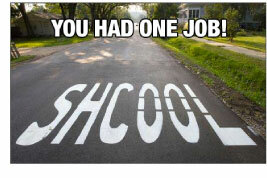 "You had one job to do!" The whole data breach is still being investigated, but it's clear that Equifax had the opportunity to prevent this disaster but failed to do so. It's a story you hear all the time. As it turns out, Equifax (and hundreds of other companies) had been alerted by Cisco Corp. back in March 2017 to a flaw in a piece of software used by businesses to create online forms. That flaw created a possible entry point for hackers. A security update or patch was immediately made available to all these companies to fix the hole. All the security team at Equifax had to do was ensure the patch was applied, where needed, throughout the company's communications systems. Equifax said it applied the patch. Obviously, they missed a few spots. And now, nobody really knows what's going on. That means we need to take steps to protect ourselves. Here's what we all need to do now. Online security experts are offering up the following list of actions you can take right now. Check your bank and credit card statements. Look for purchases or transactions that look suspicious. Since the hack happened a few months ago, you won't have to go too far back to look (at least for the Equifax hack). Freeze your credit. You can freeze any credit authorizations from Equifax and the other two major credit-reporting companies, Experian and TransUnion. It means the credit agencies, under your orders, won't divulge any information about your credit status or worthiness. In other words, if a criminal tried to apply for a new loan under your stolen name, it wouldn't get very far. Of course, that could create a hassle for you. If you wanted to apply for a loan or credit card, you'd have to temporarily unfreeze your credit status. Take advantage of the free credit reporting offered by Equifax. This is one reason these companies are in business: To provide you with a snapshot of your credit profile/score and to look for any fraudulent activity. Since Equifax caused all this mess, they have offered up free credit monitoring if you have been affected. 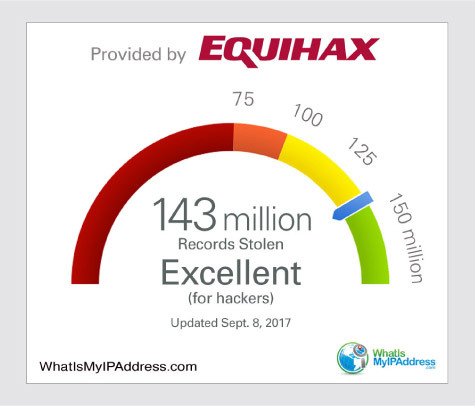 They have set up a special website for this here: Equifaxsecurity2017.com. Stay at it for a long, long time. As one security expert pointed out, Social security numbers don't expire. If someone has your Social Security number, as well as a few other pieces of personal information, they can potentially cause you misery for years. 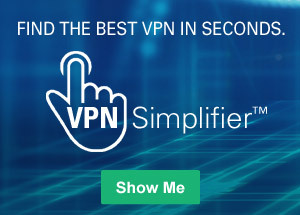 To feel even more secure, there's one more step you can take. Is the free, limited-time credit monitoring offered by Equifax—the ones that allowed hackers in the door—going to provide the peace of mind you need right now? As they have proven, Equifax and the other credit bureaus are in the data-gathering business, not the data-protection business! 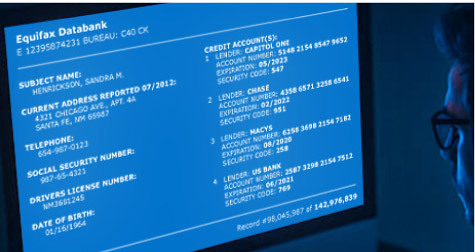 Scan your credit around the clock for threats to your identity. Alert you immediately if they sense any suspicious behavior. Help you restore your identity (in the U.S.) whenever there is ever a problem. Check out the offerings from LifeLock and Identity Guard. This is the level of support we all want at a time like this—and the years to come. Resources: pbs.org/newshour/rundown/affected-equifax-hack-heres-now/; money.cnn.com/2017/09/09/pf/what-to-do-equifax-hack/index.html; The Wall Street Journal. 'We've been breached': Inside the Equifax Hack. Updated Sept. 18, 2017; also, WSJ articles between Sept. 8-20.